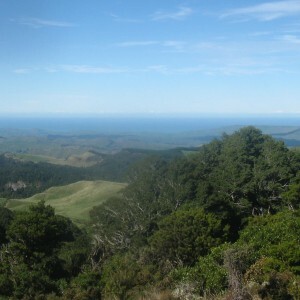 View from Boundary Stream Reserve, Maungaharuru out to Tangitū (the sea). Maungaharuru-Tangitū Trust (MTT) is a Treaty of Waitangi Post Settlement Governance Entity and has recently created a Kaiwhakahaere Taiao role to progress our environmental management plans. Reporting to the General Manager, the key purpose of this position is to develop and implement environmental plans and programmes across the MTT takiwā. With a tertiary qualification and minimum of 6 years scientific training and experience, you will have a proven ability to develop high level relationships to achieve outcomes with multiple partners. Experience with local and central government and RMA frameworks is essential as is exceptional writing, analytical and research skills. A sound knowledge of tikanga Māori with the ability to work in a kaupapa Māori environment and the ability to translate Māori knowledge into the mainstream policy and planning frameworks will be valuable. Your ability to work independently and as a committed team member will add value to our dynamic environment as we seek to secure the future of our Hapū. Based in the Hawke’s Bay this role will play an integral part in achieving key strategic goals to create plans to protect and enhance our treasured environment. Applications close 5pm Sunday 26 March 2017. To apply, please email info@tangoio.maori.nz.